⦁ BFGoodrich’s toughest all-terrain tire. Ever. 1 Improvement depends on the size of the tire purchased. 20% improvement based on internal sidewall splitting test results derived from a simulated sidewall aggression testing machine (patent pending US20120245859A1) vs. BFGoodrich® All-Terrain T/A® KO tire in size LT265/70R17. Actual on-road results may vary. 2 On-road: Based on internal wear tests vs. BFGoodrich® All-Terrain T/A® KO tire in size LT 265/70R17. 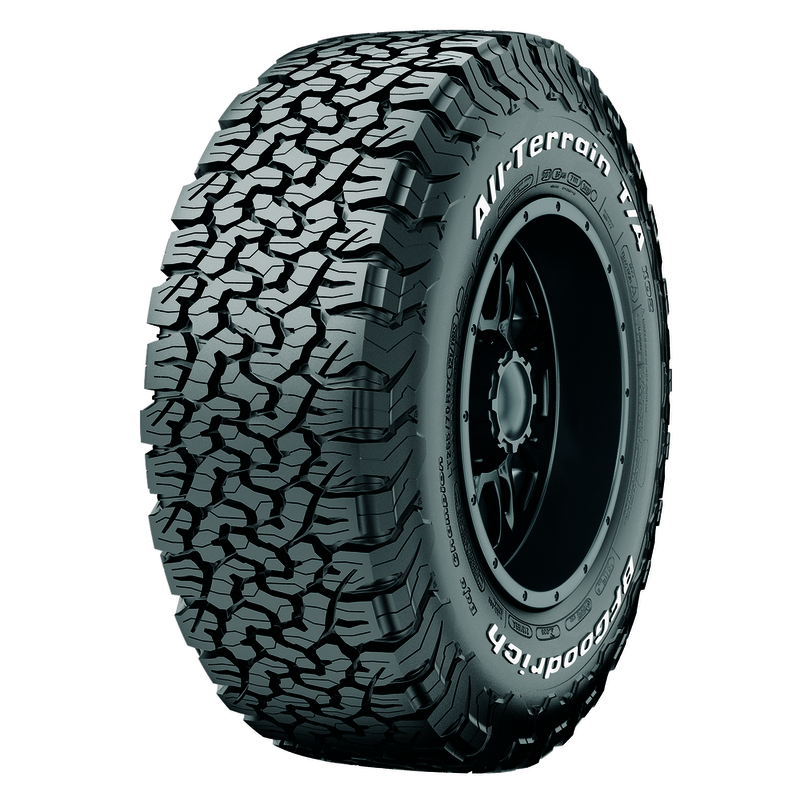 Off-road: Based on commissioned third-party gravel endurance tests vs. BFGoodrich® All-Terrain T/A® KO tire in size LT 265/70R17. 3 Snow test: Based on third-party snow traction tests vs. BFGoodrich® All-Terrain T/A® KO tire in size LT 265/70R17 using the ASTM F1805 Test.